Hydrogen is normally a colorless, odorless and tasteless gas, consisting of diatomic molecules (H2). The hydrogen atom, H symbol, consists of a core unit of positive charge and one electron. It is one of the main elements of water and of all organic substance, and is widely distributed not only on Earth but throughout the universe. This is an elemental hydrogen. Industrialized hydrogen is needed for its use in certain sectors, where its application covers substantial industrial activities. It should be pointed out its use as a method to improve the environment and therefore, the health of people, through its introduction in the automotive sector and in the energy sector in general. In this area, INDHO gathers all its efforts: the ability to produce renewable hydrogen for its later use as an automotive fuel, electric power and thermal energy. Hydrogen is a special chemical element for the energy storing, since the energy content of hydrogen has the highest energy density mass of all fuels: 120 MJ/kg. Reforming of partial oxidation of hydrocarbons. They are cheaper but the most pollutants from fossil fuels. Water electrolysis separates oxygen and hydrogen using electrical energy. This method is the most efficient method which produces hydrogen with the highest purity. 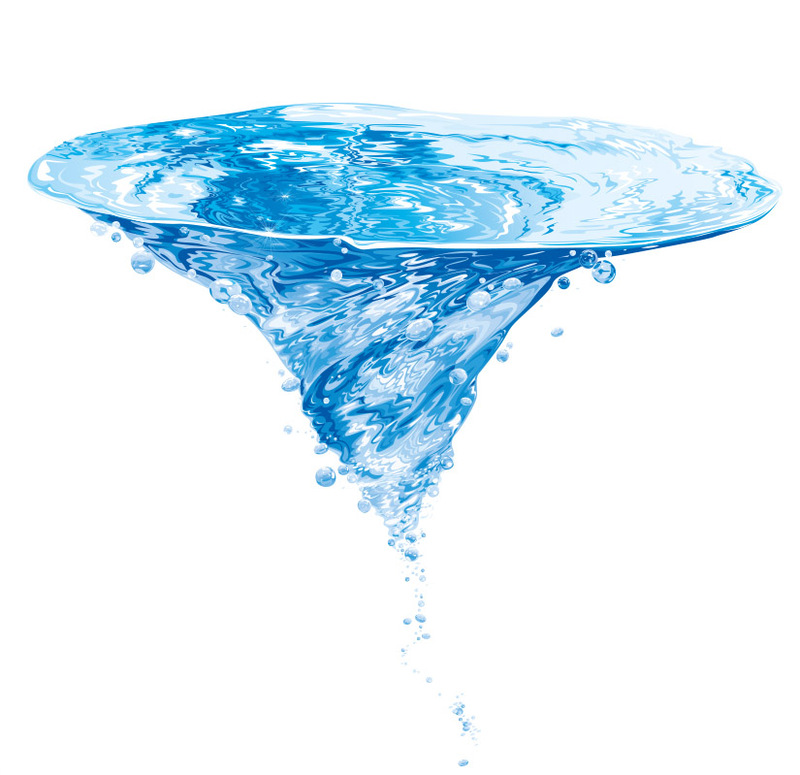 Water is the most abundant and recyclable natural resource. Hydrogen obtained from water when combined with oxygen in a fuel cell will return back to the atmosphere, being part of the water molecule. It is the most commonly used method, with highly developed technology and low costs process. System used when it must be transported over long distances and also in the aerospace sector. The main problem is the evaporation losses: 3 to 5% per day. The hydrogen reacts with many transition metals and their alloys forming metal hydrides. This method is currently in an advanced stage of research for commercial use. Carbon structures with a high surface area are used, such as carbon nanotubes. The technology is of great interest because of its storage capacity according to laboratory studies. Alternatively, hydrogen can be stored in light chemical compounds, such as ammonia, methanol, methane or formic acid. These compounds have a high content of H in its molecule and can be used as indirect hydrogen storage. 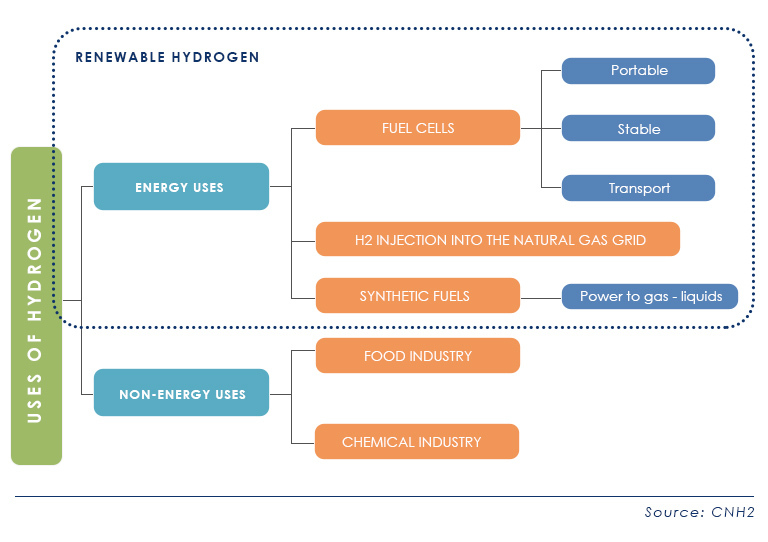 Hydrogen, as an energy vector, can store renewable energy and replace fossil fuels in many applications, managing to increase efficiency in the use of that energy. The development of fuel cell powered with hydrogen is no longer an experimental application to become an alternative energy complement to conventional fuels. The use of hydrogen as an automotive fuel has become a reality, and is having a great interest because of its advantages; it removes external energy dependence and offers a high environmental commitment as it is a zero-emission fuel. The modular nature of fuel cells, their easy installation, their usefulness for transportation and power generation sectors, areas where a quick response to a demand for constant energy is needed, make the use of the hydrogen technology highly attractive. Hydrogen is the most efficient fuel since it has the highest heating value/weight relationship of all fuels. It produces double or triple energy than most of commonly used fuels, and reacts rapidly with oxygen. It is the cleanest fuel. Unlike coal-based fuels and petroleum derivatives, hydrogen produces no harmful elements during combustion. Only energy and clean water are produced when hydrogen is combined with oxygen in a fuel cell. In addition, it is a silent process. It should be noted that a hydrogen leak is immediately dispersed in the air and does not pollute neither soil nor water.